The Cleveland Police Foundation proudly announces that the recipient of our Community Partner of the Month for March 2019 is the Edgewater Yacht Club. The Edgewater Yacht Club has been hosting the Cops/Kids fishing event for the past ten years rain or shine with no questions asked. Their support for the kids, mostly from the Boys and Girls Club has been outstanding, and they have provided an outlet for the kids that may have never had before and that is an opportunity to take a boat ride, go fishing and eat lunch with officers from the Cleveland Division of Police. 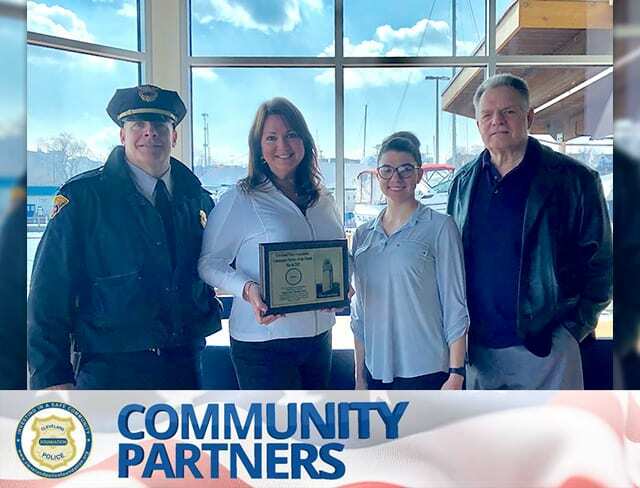 It is because of this devotion and dedication to the children and officers in our community that the Cleveland Police Foundation is honored to recognize the Edgewater Yacht Club as our Community Partner of the Month for March 2019.